It’s not too late to study a Hair and Beauty qualification at Barnsley College in September 2018. Our Hair and Beauty courses cover subjects such as: creative hair design skills, colouring correction; cutting and colouring hair to create a variety of fashion looks; body massage; dry spa treatments; selling products and consulting with and advising clients. If you are looking for a career as a Barber, Beauty Consultant, Hairstylist, Nail Technician, Salon Manager or a Spa Therapist, there is a course for you. Hair and Beauty students are given the opportunity to participate in an enrichment industry week a fantastic opportunity to ‘try something new’. Professionals from Dermalogica, Wella and Steiner are invited in to College to demonstrate, train and inspire students. 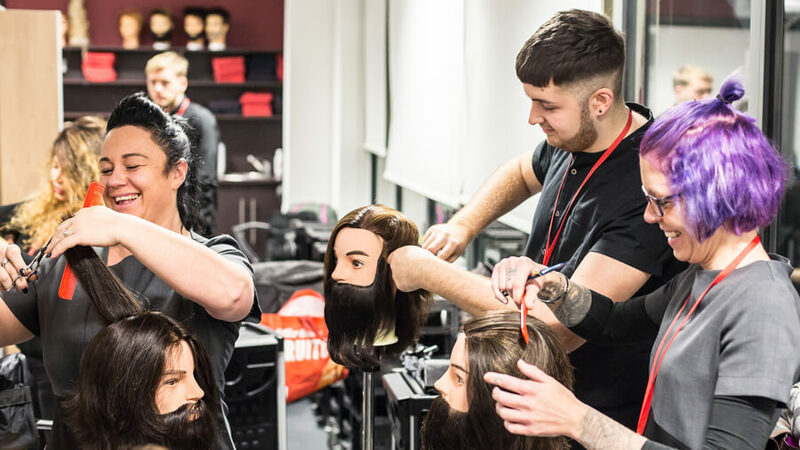 This year students were given the opportunity to work alongside Celebrity Hairdresser Andrew Barton for his Beehives, Bobs and Blowdries charity ball at The Civic.